So, uh, it looks like there's a lot of Love Live! fans out there in the world. The English version of Love Live! 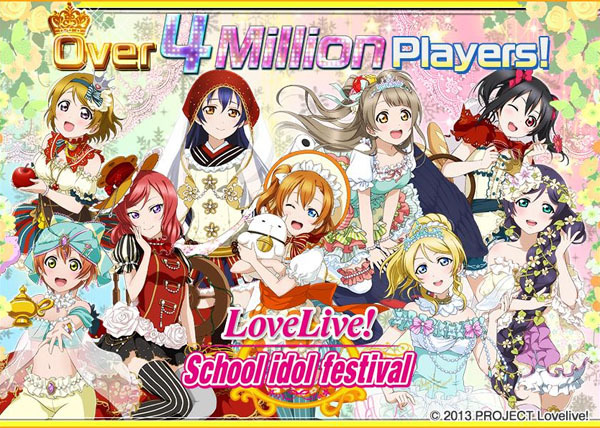 School Idol Festival has been wildly successful. As it turns out, it's been downloaded and played by over four million players. In case you're bad with numbers or need a little extra explaining there, that's four million players across both iOS and Android. The game originally launched on May 11, 2014 after its initial debut in Japan in April 2013. The original Japanese release amassed 15 million players as of March 2014, and it seems like the English version could well be catching up. 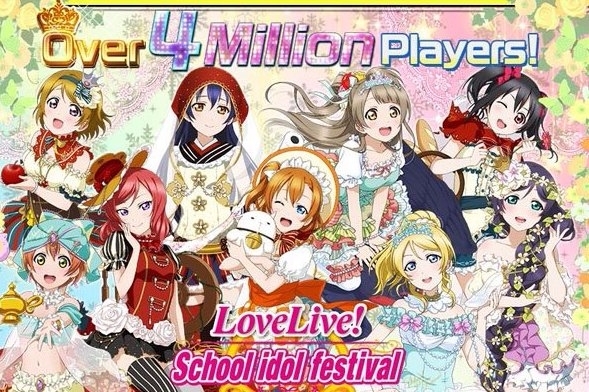 There's a special event going on to celebrate the four million players having been amassed by game developer KLab, so if you log in between April 26 (tomorrow) and May 2, you'll get a special Love Gem every day until the event is over. It's a real testament to the power of the anime and its rabid fan base that it's experiencing this type of growth and success, but hopefully it continues growing as these types of niche games are difficult to grow audiences with in the current game market. We'll see if it continues to amass users at such an exponential rate.